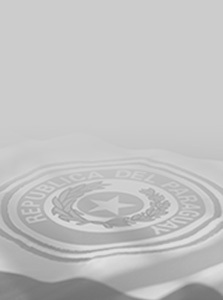 The Republic of Paraguay welcomes foreign nationals that can contribute to the development of the nation. The admission, entry, permanence and exit of foreigners in the Paraguayan territory is governed by the provisions of the National Constitution, Law 978/96 “Immigrations Law”, and regulated by Decree Nº 18.295, the purpose of which is to promote the population and work force flow required by Paraguay. Law 978/96 creates the Immigration Office, which is in charge of the execution of national migratory policies. It must be noted that foreign nationals admitted as non-residents cannot work on their own or engage in a labour relation, unless expressly authorized by the Immigrations Office. The persons exempted from this regime are diplomatic and consular service personnel accredited and recognized by the Paraguayan government. Administrative and technical official, family of the said officials and/or representatives previously mentioned are also exempted. Foreign nationals may be admitted under the following categories: residents and non-residents (tourist or business visa). Under this category, foreign nationals can enter the country to reside in it and to carry out any activity that the concerned authorities consider useful for the development of the country. The foreign national with permanent residence must obtain a Paraguayan identification card. Once admitted, these foreigners may remain in the country for an indefinite period of time, unless they incur in one of the causes that result in the cancellation of the residence or expulsion from the country. The duration of the permanent residence document is 5 years, renewable for equal length periods. Absence without prior justification for a period longer than 3 years results in the cancellation of the residence permit. * These documents must be legalised at the Paraguayan consulate in the country of origin. The identification document does not require legalisation. For residents in the United Kingdom, the Republic of Ireland or Iceland, see information on legalisation of documents PRIOR to their submission to the Consular Section of the Embassy of Paraguay. Affidavit confirming that the applicant will abide by the laws of the country signed by a Notary Public. The sanctions established in the Immigrations Law include a fine, expulsion of the country or even a jail sentence. The Immigrations Office and the Criminal Courts are competent over immigration matters. Jail sentence may vary from 3 months to 2 years in accordance to the particulars of the offence, which amongst other offences may include the use, forgery and modification of documents; re-entry without prior authorisation of a foreign national whom had previously been expelled from the country. The fines may be imposed to foreign nationals that do not comply with the purpose stated at the time of application for residence in the country and any other obligation that arises from the said act.